The Fox Theatre (St. Louis) now has gift cards that can be used online, by phone, or in person for purchase of tickets to any performance at the Fox Theatre. 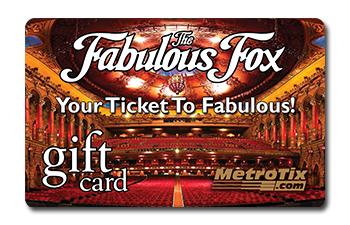 The Fox Theatre Gift Card is available for purchase in person at the Fox Theatre Box Office, online at MetroTix.com and by phone with MetroTix at (314) 534-1111. Gift cards are not refundable or replaceable if lost, destroyed or stolen. Gift cards can be used toward ticket purchases as well as food and beverage in the theatre. To check the balance of your Fox Theatre (St. Louis) Gift Card, call toll free: 1 (866) 794-4839. The Sheldon Concert Hall now has gift cards that can be used online, by phone, or in person for purchase of tickets to any performance at The Sheldon. 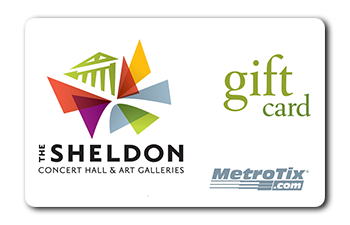 The Sheldon Gift Card is available for purchase in person at the Fox Theatre Box Office, online at MetroTix.com and by phone with MetroTix at (314) 534-1111. Gift cards are not refundable or replaceable if lost, destroyed or stolen. Gift cards can only be used toward ticket purchases at this time. CLICK HERE to purchase a Sheldon Gift Card. To check the balance of your Sheldon Gift Card, call toll free: 1 (866) 794-4839. The Old Rock House now has gift cards that can be used online, by phone, or in person for purchase of tickets to any performance at the Old Rock House. 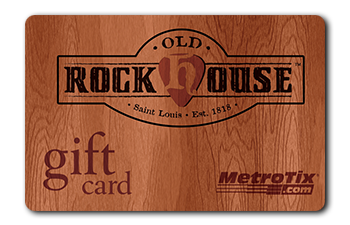 The Old Rock House Gift Card is available for purchase online at MetroTix.com and by phone with MetroTix at (314) 534-1111. Gift cards are not refundable or replaceable if lost, destroyed or stolen. Gift cards can only be used toward ticket purchases at this time. CLICK HERE to purchase an Old Rock House Gift Card. To check the balance of your Old Rock House Gift Card, call toll free: 1 (866) 794-4839. Circus Flora now has gift cards that can be used by phone or in person for purchase of tickets to any performance at Circus Flora (PLEASE NOTE: Circus Flora gift cards are not redeemable online. Please call MetroTix at 314-534-1111 or visit the box office to redeem your gift card). 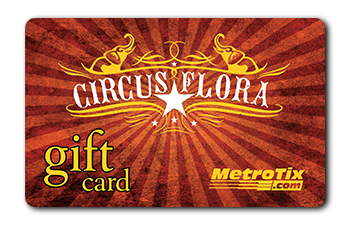 The Circus Flora Gift Card is available for purchase online at MetroTix.com and by phone with MetroTix at (314) 534-1111. Gift cards are not refundable or replaceable if lost, destroyed or stolen. Gift cards can only be used toward ticket purchases at this time. CLICK HERE to purchase a Circus Flora Gift Card. To check the balance of your Circus Flora Gift Card, call toll free: 1 (866) 794-4839. MetroTix now has gift cards that can be used online, by phone, or in person for purchase of tickets to most events sold through MetroTix*. 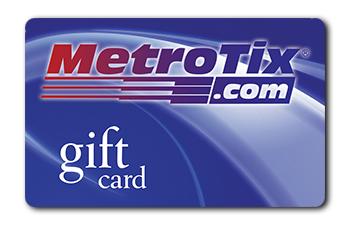 The MetroTix Gift Card is available for purchase online at MetroTix.com and by phone with MetroTix at (314) 534-1111. Gift cards are not refundable or replaceable if lost, destroyed or stolen. Gift cards can only be used toward ticket purchases at this time. CLICK HERE to purchase a MetroTix Gift Card. To check the balance of your MetroTix Gift Card, call toll free: 1 (866) 794-4839. * MetroTix gift cards cannot currently be used toward Muny productions. For information on Muny Gift Cards, click here.